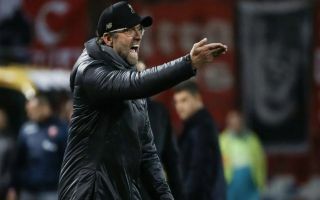 Jurgen Klopp has offered an injury update on Joe Gomez to Liverpool fans following the Reds win over Burnley, Klopp also blasted Burnley following the game. England international Joe Gomez was stretchered off the pitch after only 20 minutes of action this evening, the defender suffered an ankle injury following a slide tackle from Burnley’s Ben Mee. Fortunately Liverpool managed to grab the three points regardless but they may never have gone 1-0 down in the first place if Gomez remained on the pitch. Jurgen Klopp has confirmed that Joe Gomez has an ankle injury. He will have a scan tomorrow. Likely to miss some time. Gomez will be a massive miss for Liverpool and his injury couldn’t have come at a worse time for himself or the team. Gomez has been tipped to break into Liverpool’s defence for years and the ex-Charlton boy has finally managed to do that, but a lot of his time at Liverpool has been hindered with injury problems. Liverpool are also about to get underway in a congested pile up of fixtures. The Reds will play 3 games in 8 days starting with their Premier League tie against Bournemouth on Saturday, followed by a midweek ‘all or nothing’ Champions League clash with Napoli. Their congested schedule is rounded off with a eagerly anticipated clash against bitter rivals Manchester United next Sunday.